This is mostly class I, with one or two class II. Excellent for beginners, or for folks that just want to relax on the river. Scenery is fantastic, with canyon walls up to 800 feet. This is runnable (albeit sluggish) below 1000 cfs. The entire trip is around 26 miles, but may be split by launching or taking out at Bridgeport, in the middle. 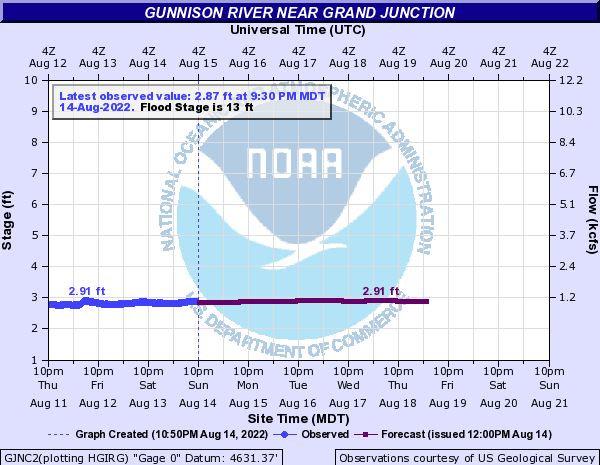 Primary Gauge GUNNISON RIVER NEAR GRAND JUNCTION, CO.